To find out more about the niche event that showcases Bass Guitar leads, then click here to read the Roy Vogt Presents 5th Annual Thunder Row Bass Invitational at Summer NAMM article by Bass Musician Magazine. It will be held in Nashville, Tennessee (USA) on the 9-11 July 2015. 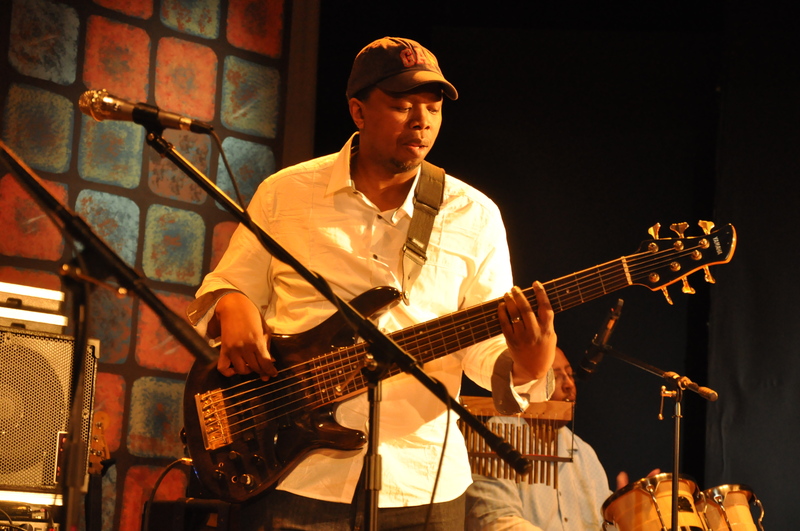 Our recent interviewee (month of May) Vuyani Wakaba & Friends, will have the honor of performing at this year’s Summer Namm (National Association of Music Manufacturers) bass showcase. Vuyani’s bands mates are: Dennis Sindberg on tenor saxophone, alto saxophone and flute. Dana Goodman on drums. Chris Edwards on percussion, Scott Evans on guitar and Yaw Prah on keyboards. Check out the Roy Vogt’s 5th Annual Event Thunder Row Bass Invitational page for more details on Facebook.